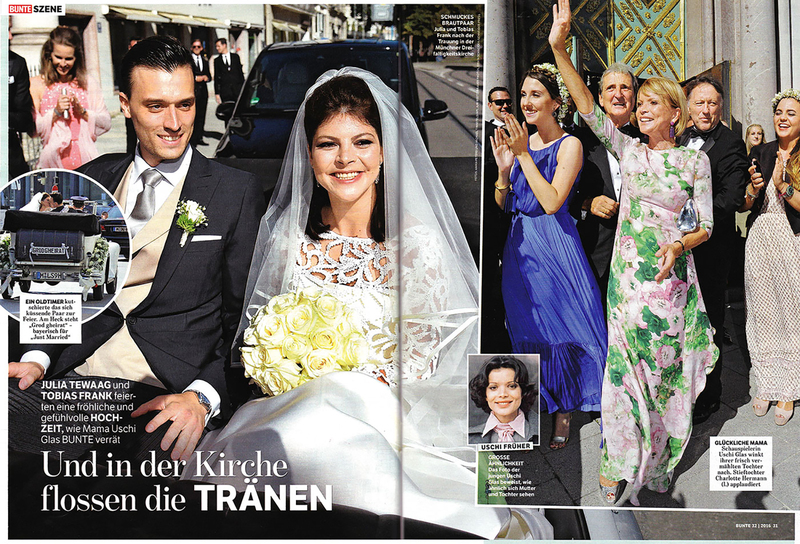 Andrea Kehl, our celebrity stylist in Munich styled Julia Tewaag, the daughter of the famous German actress Uschi Glas, for her wedding with the lawyer Tobias Frank. Andrea created Julia's hairstyle: a bridal veil and the hair is slightly teased in the front with a sleek back. A hairstyle with a very distinctive elegance! 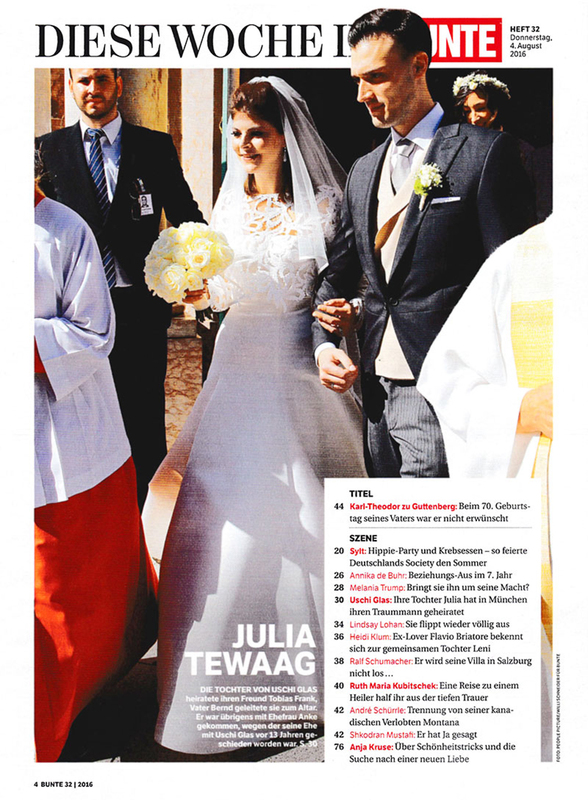 Discover the photos of the wedding exclusively published in the German newspaper Bunte.